You know those plastic scoops that come in canisters of cocoa, cappuccino, and coffee? Don't throw those away! Wash 'em and keep one in your flour container for scooping flour. They work great for sugar, rice, and oatmeal too. Out of canned stewed tomatoes? It's easy to make your own. When I told my hubby I was mixing together chili sauce and grape jelly for this recipe he said “What on earth?” I think he thought I was nuts! LOL! I have to admit, it sounds weird, but the final result is yummy. 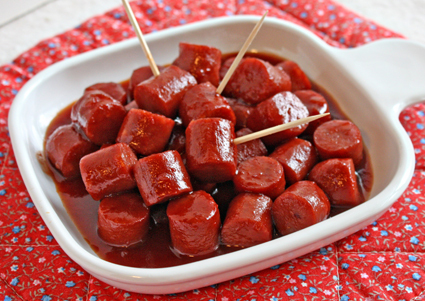 The tangy sauce paired with hot dogs, cocktail wienies, or meatballs makes a crowd-pleasing appetizer. Approx. 32 Servings Prep time: 5 min. Total time: 30 min. Slice hot dogs into 1 inch pieces. In a large skillet, combine the chili sauce, jelly and lemon juice; cook over medium-low heat until jelly is melted, stirring occasionally. Add hot dogs. Reduce heat; simmer on low for 20 minutes, stirring occasionally. 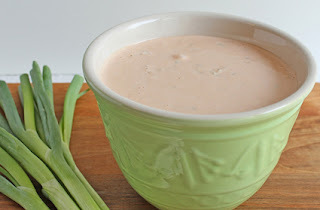 Serve immediately or keep warm in a 1-1/2-qt. slow cooker. Variation: Add a little hot sauce to turn up the heat. 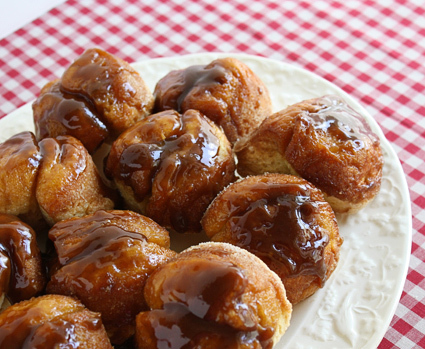 These rich, caramely rolls are a snap to make with refrigerated biscuits. Let the kids help toss the biscuit pieces in the sugar. A fun and sweet breakfast treat! Grease a regular-size muffin pan. In a bowl mix butter, brown sugar and cinnamon. Use a fork to break up any brown sugar lumps. Spoon 1 and 1/2 teaspoons of mixture into 10 muffin cups. Open biscuits. Cut each biscuit in half, making 10 pieces. Cut these 10 halves in two. This will make a total of 20 biscuit pieces. Put biscuit pieces and granulated sugar in a bowl; toss the pieces to evenly coat with sugar. Place two pieces of dough in each muffin cup. Bake at 350 degrees for 16 to 21 minutes or until golden brown. Remove from oven. Cool 1 minute. Remove muffins from pan with a spoon. Spoon any caramel left in the bottom of the pan over the rolls. Serve warm. Adapted from a Pillsbury recipe. When buying family-size packs of ground beef and dividing it up for the freezer use this non-stick tip- Tear off a piece of aluminum foil and place it on the counter. Tear off a piece of waxed paper and place it on top of the foil. (This will create a barrier between the meat and the foil.) Wrap and freeze. I just made this dressing and I can't stop eating my salad to type this, the dressing is so good! 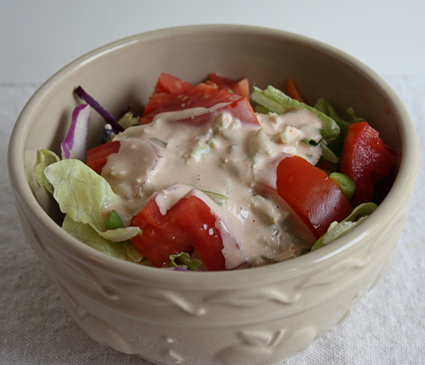 I usually avoid Thousand Island dressing at salad bars it looks so funky and orange, but this homemade version is delish. Mix all ingredients together. Chill in fridge. Makes 2 cups.